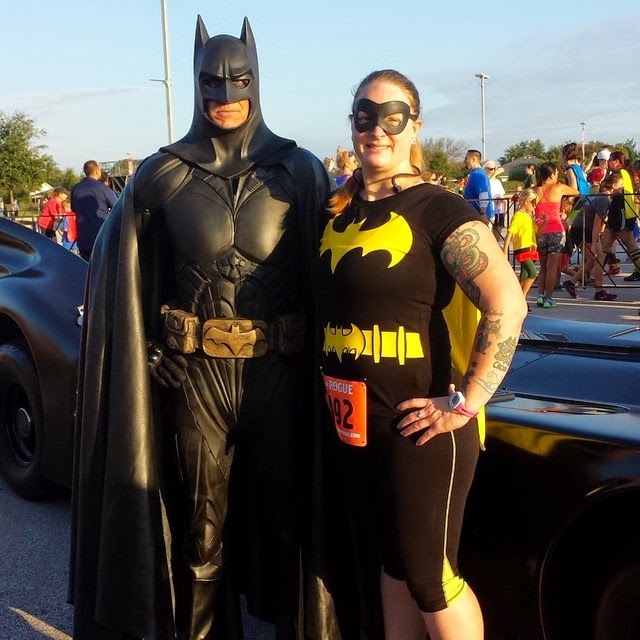 This morning I ran the CASA Superhero 5K in Cedar Park, TX (a suburb of Austin, TX). Like 90% of my races, I went alone. Most people at this race were with friends or family. There were, obviously, a LOT of kids at this race. The kids 1K was to kick off at 8am with the 5K to follow at 8:30-ish…once all the kids were clear of the course. I arrived way earlier than I had meant to. It didn’t take me nearly as long to drive to the Cedar Park Center (where the Texas Stars hockey team plays) as I was thinking it would. So, I sat in my car for about half an hour to minimize how much time I was just standing around before the run started. So, around 7:40, I got out of the car and got my stuff together. 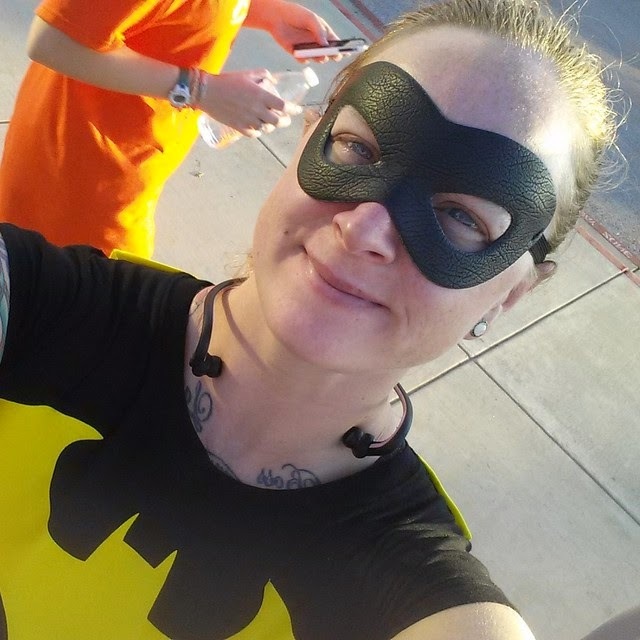 I pinned my bib to my shirt and put my phone in my gear belt and my earphones around my neck and then headed over toward where everyone was at. I found the stage where they were bringing up and introducing the people who had entered the costume contest. I watched that for a while and then started walking around a little bit. 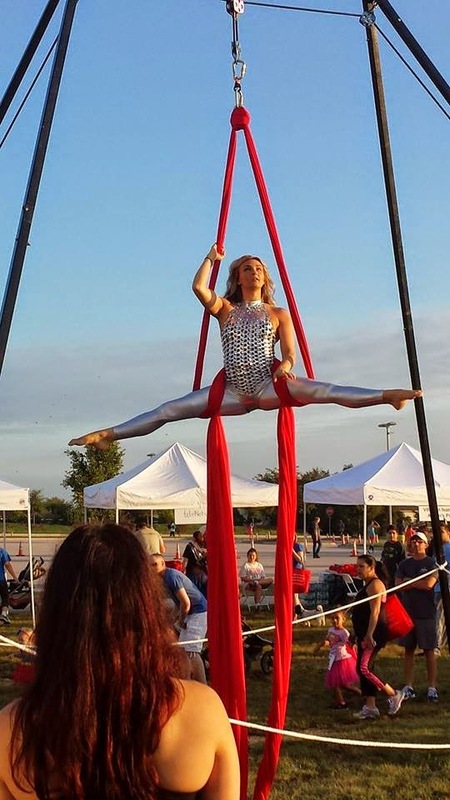 I found some ladies doing the Cirque de Soleil ribbon thing. So I watched them for a little bit. Then, I moved on and found the Batmobile and Batman. 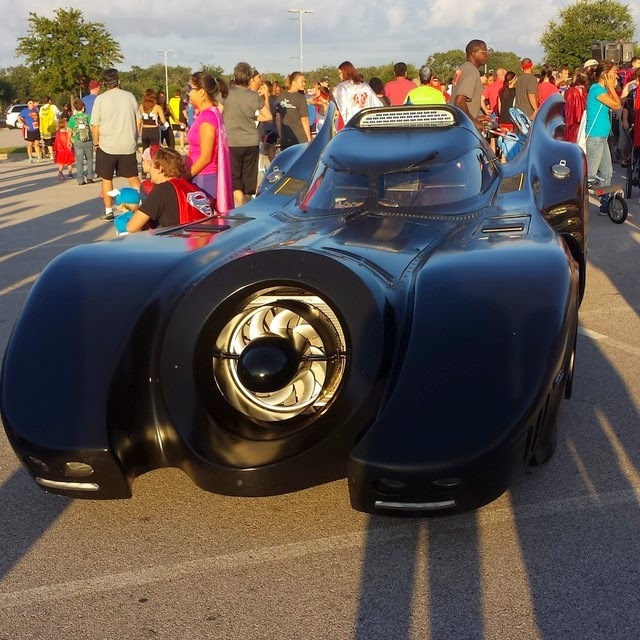 I snapped a picture of the Batmobile, noting that it had current registration and inspection stickers, meaning it is ROAD LEGAL!!! How cool would it be to see that driving down the road? Anyway, I asked a nice lady to snap a picture of me with Batman. Just had to considering I was dressed as Batgirl! I then went over to stand next to the start/finish corral. The kids’ 1K had already started and was nearing finish. I warmed up my legs as I watched the kids and their parents cross the finish line and get their kids’ 1K finishers’ medals. 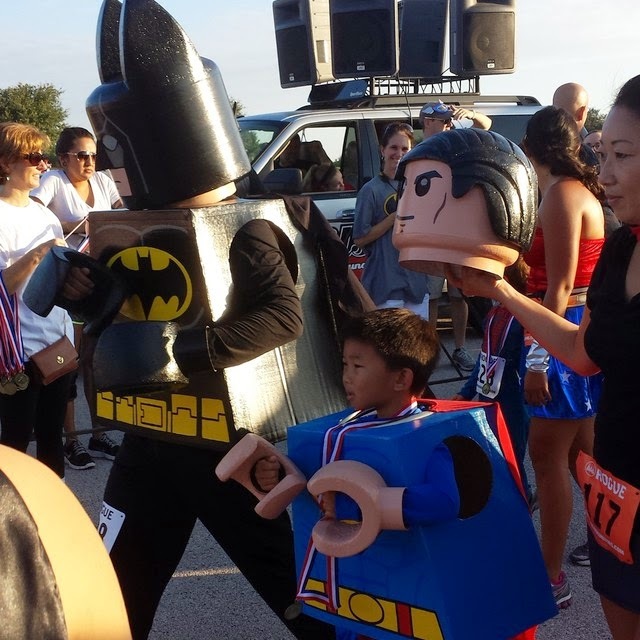 There were a couple costumes that caught my eye as they crossed the finish line: the Lego family and Bowser. All the kids were clear of the course by 8:30 so the 5K pretty much kicked off right on time. 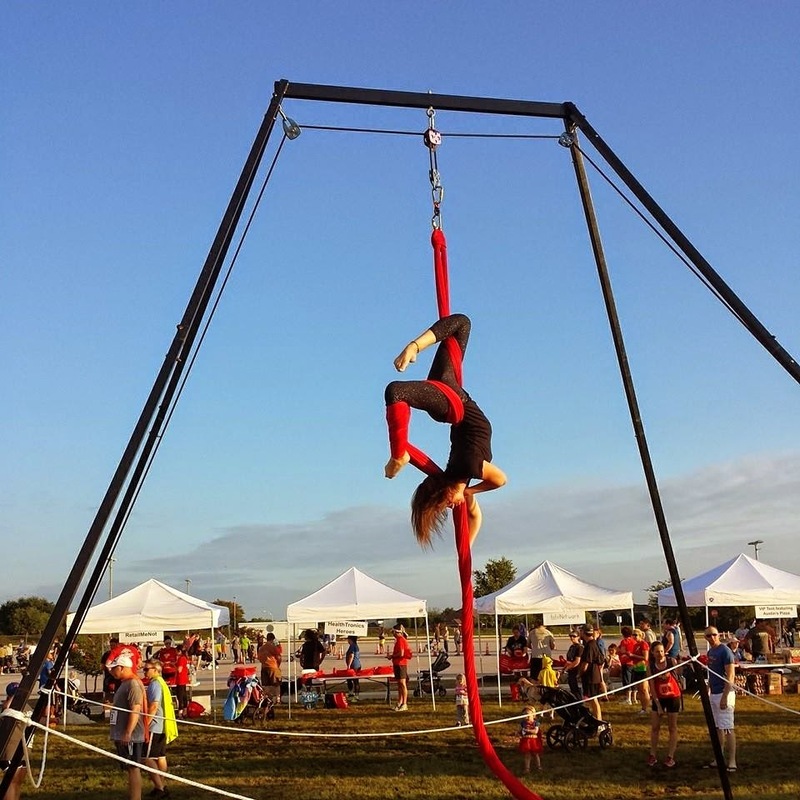 I had opted not to pay the additional $5 for a timing chip (sort of regret that, but there were no age group awards, so really, what would the point have been? ), so my sole timing method was my Garmin. This is strictly a “fun run” so being timed isn’t really that big of a deal. The airhorn sounded and we were off. This was an out and back course. The Batmobile lead us for the first half. One thing that I absolutely LOVE about out and back courses is you get to see the leaders/elites that are running the race. It’s so inspiring to see them busting it out and going so fast. As we ran out toward the turn-around point, it felt like it was all uphill. The way back did feel like it required less effort. However, when I checked my Garmin data when I got home, the elevation profile wasn’t really all that dramatic, so maybe it was just an off day for my legs. No biggie. I still ran faster than my current comfortable pace, so that’s a really good thing. I had an average pace of about 11:18 min/mi. Very nice indeed. These 5K’s I’ve been running are sort of my speedwork. I really would have wished that the pace was another 45 seconds faster per mile, but my legs just weren’t having it. Speaking of running faster…I know a good part of my problem is the addition 25 lbs I’m packing. I’m well on my way to making the gym and strength training a regular thing in my weeks, so that should help. The main thing, though, is my eating. It is severely out of control and I need to get a handle on it like nothing else. 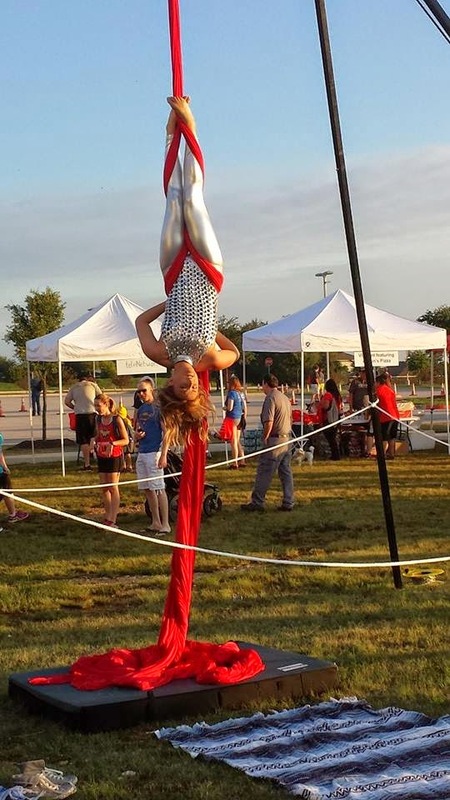 But, I’ll talk about that another post…this is a race report! I really did enjoy this race and I want to do it again next year. Of course, I’ll have more than just a week to prep for it, so I can have more fun with my costume! 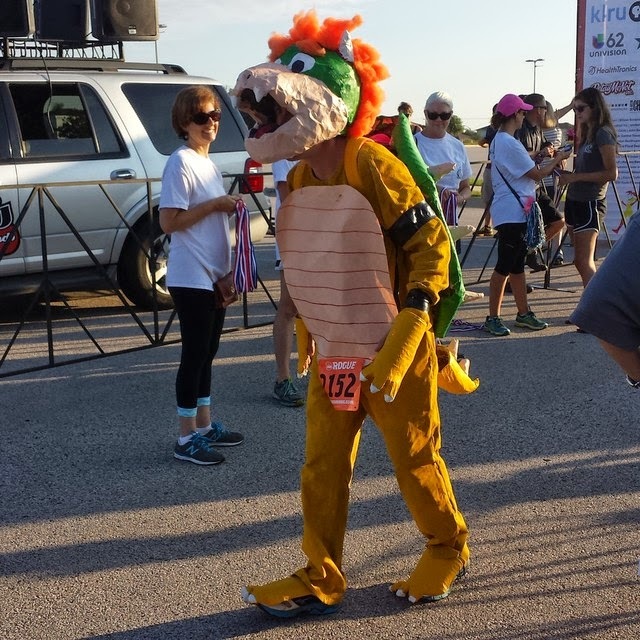 If I like my costume enough next year, I’ll enter the costume contest! Post-race there was a photo “booth” where you could get free photos, so of course I got one! 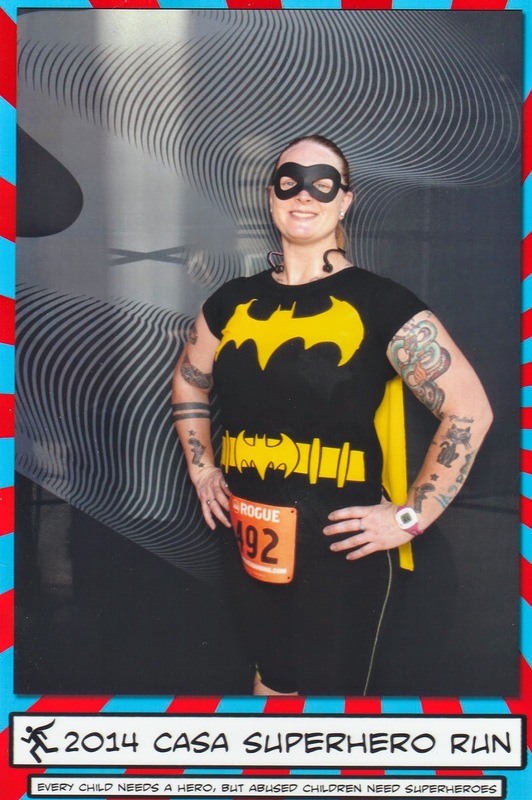 Since I had instant photos from the race, I was able to put together my scrapbook page for this race as soon as I got out of the shower! WOOHOO! And, let me tell you, this is my absolute favorite page I’ve done so far. It is such a fun page! I started with this comicbook inspired alphabet I found the other day. The pack of letters only came with one of each letter and I didn’t feel like buying 2 packs of the letters just so I could spell out “SUPERHERO.” On top of that, there were no numbers with this pack of letters AND the letters are like 3 inches tall. That’s huge. So, I scanned them into my computer and then I copy/pasted in paint the letters I needed to spell out “SUPERHERO.” Plus I created a number 5! YAY! 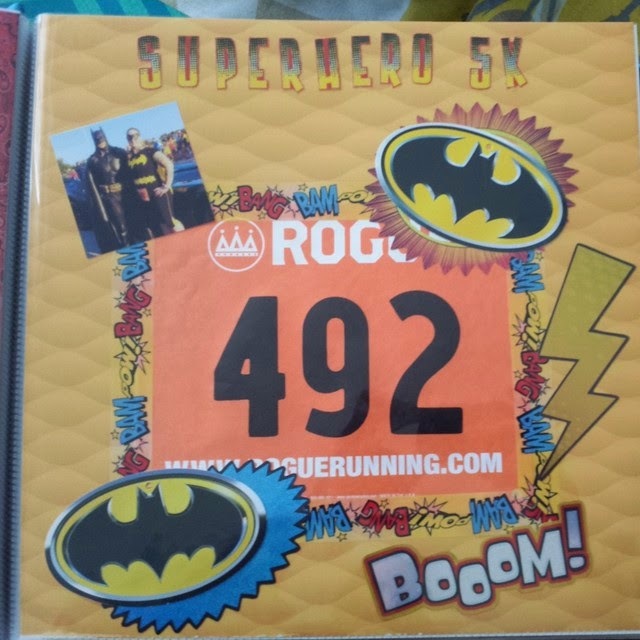 Then, I printed out “SUPERHERO 5K” on photo paper and cut them out so I could title the page with them. When I found the comicbook letters, I also found some comicbook graphic style stickers, so I picked a couple of those to use. And, I also had some clothing tags that were the Batman symbol, so you know those got used.